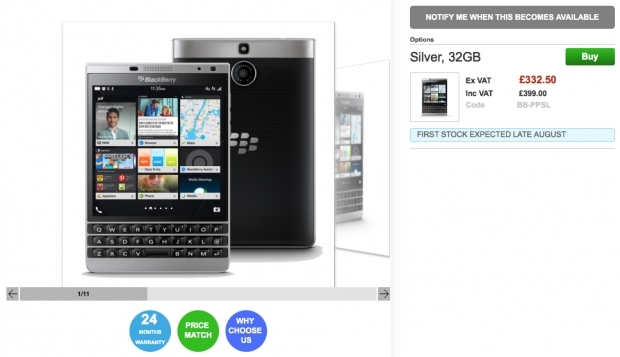 BlackBerry Passport Silver Edition available for pre-order | BlackBerry Blast! BlackBerry announced the latest BlackBerry in their Passport line up yesterday. The BlackBerry Passport Silver Edition will be coming soon. The new Passport has a slightly different body, but the same specs as the current BlackBerry Passport. UK retailer, Clove, already has the 32 GB Silver Edition Passport up for pre-orders. According to their website, you can get the latest Passport unlocked. Head on over to the source link below to pre-order yours today.